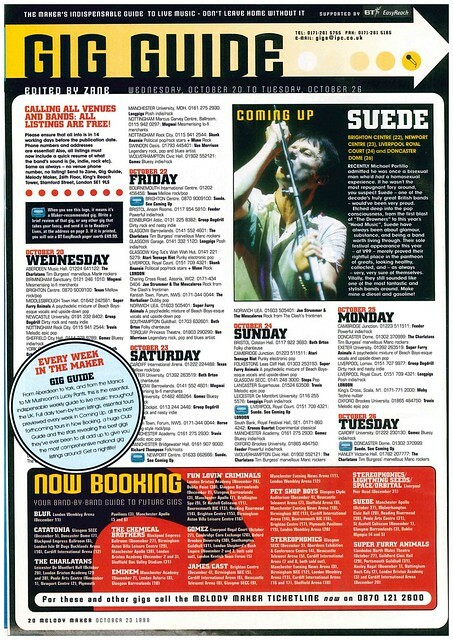 I hate it when Belsonic announces concerts by acts I like and want to see. 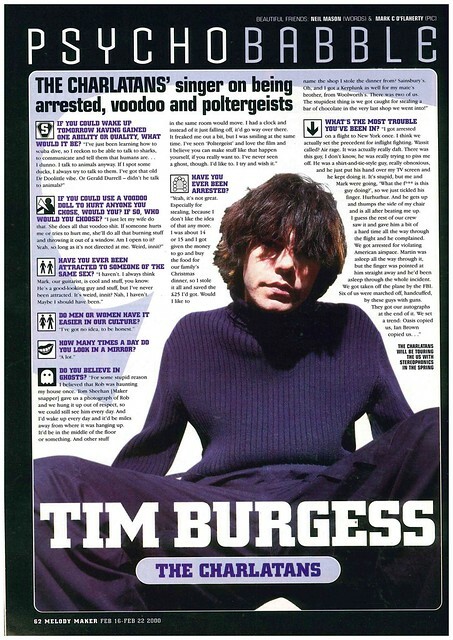 Pissed up schoolkids, people too thick to put empty bottles in a bin, and scummy tramps stinking of cigs and vapes. 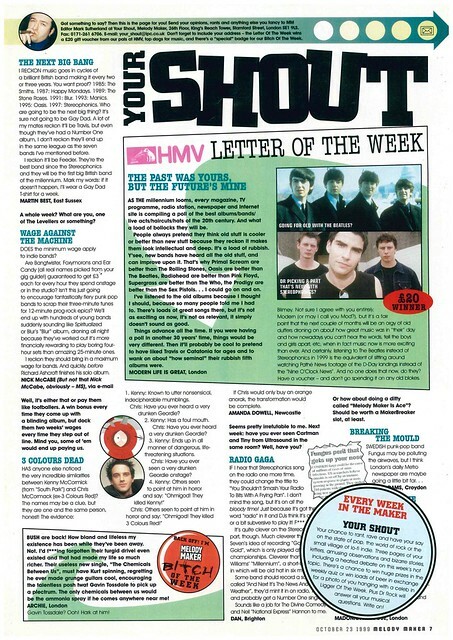 I would have preferred it if George Ezra did an Odyssey concert on his March tour. 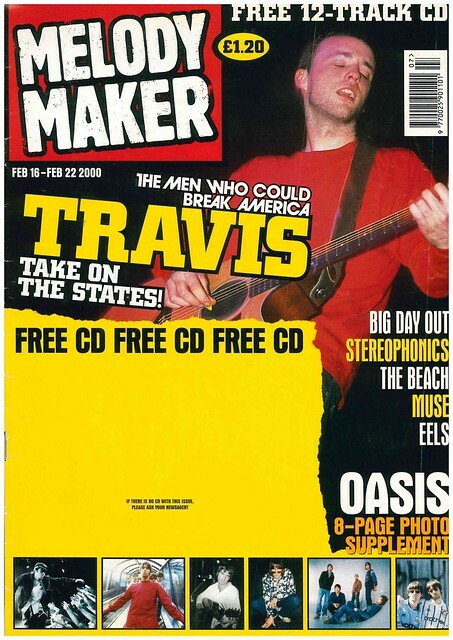 Not a large magazine this week, as we look back at a free sampler edition of Melody Maker, which was free for one week only as it changed to an A4 sized publication. 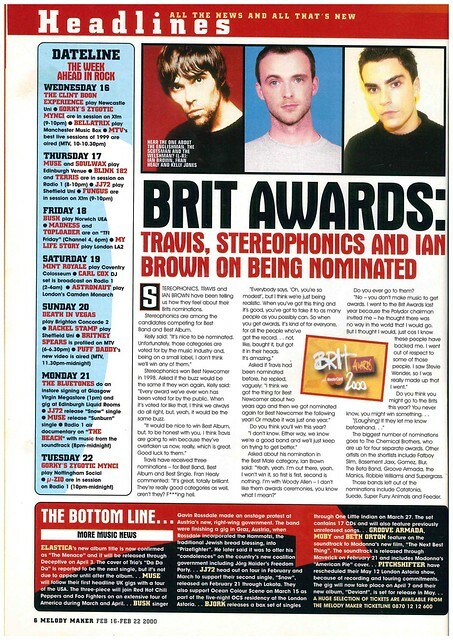 This edition saw Cerys Matthews as the cover star. 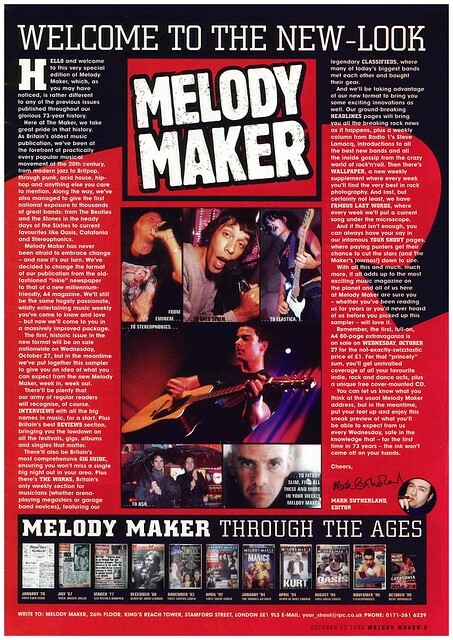 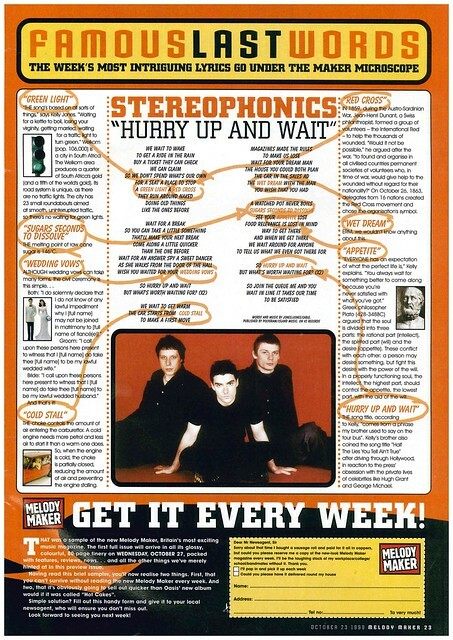 As you open the magazine, there is an editorial explaining the new look, as well as a look at some classic Melody Maker covers. 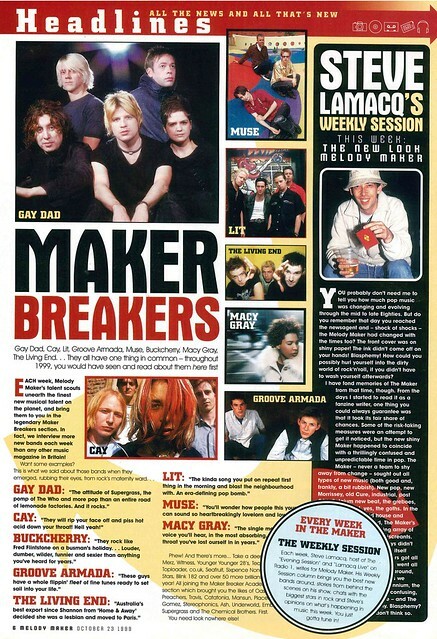 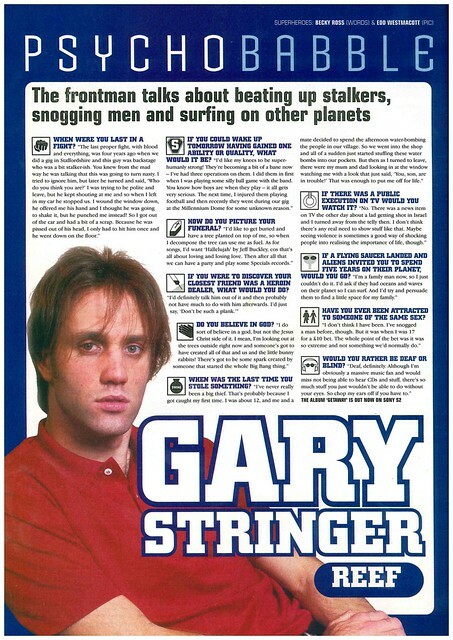 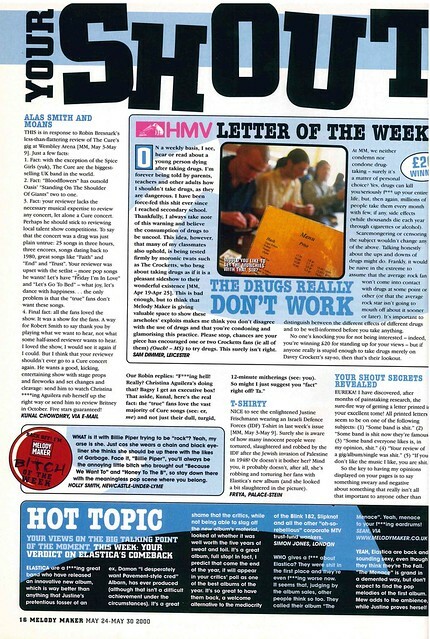 There is an article called Maker Breakers, detailing the breakthrough acts interviewed by Melody Maker in 1999 such as Groove Armada, Gay Dad and Muse. 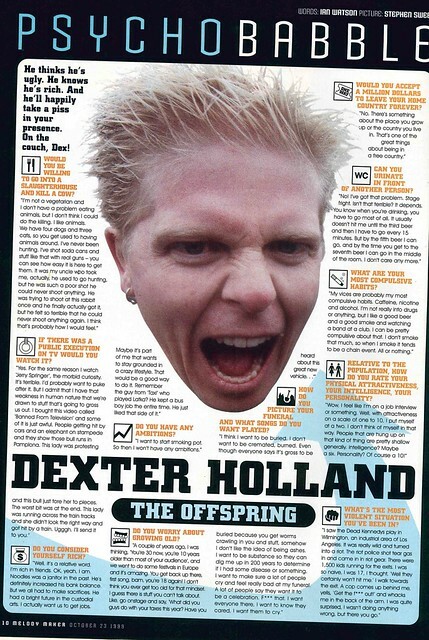 Dexter Holland of The Offspring is subject of a Q and A, revealing he would watch an execution if it was broadcast on TV. 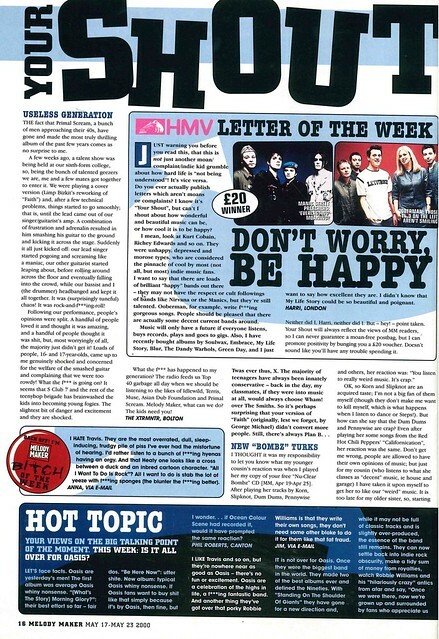 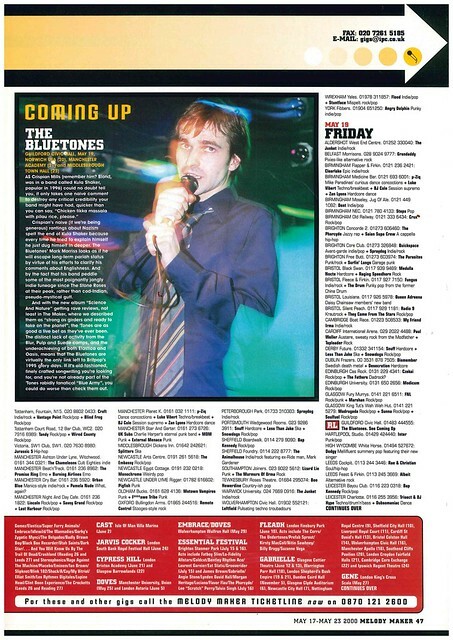 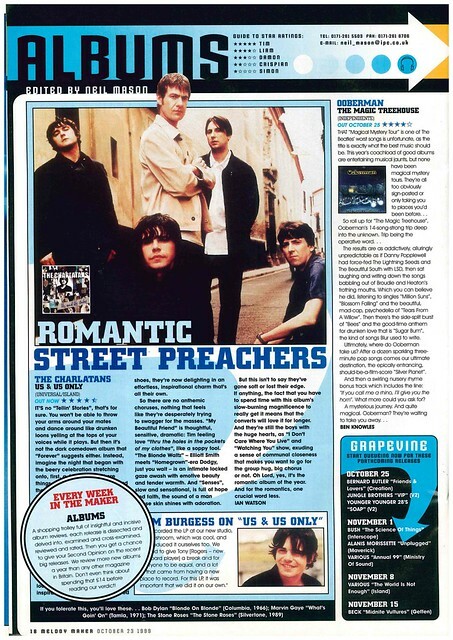 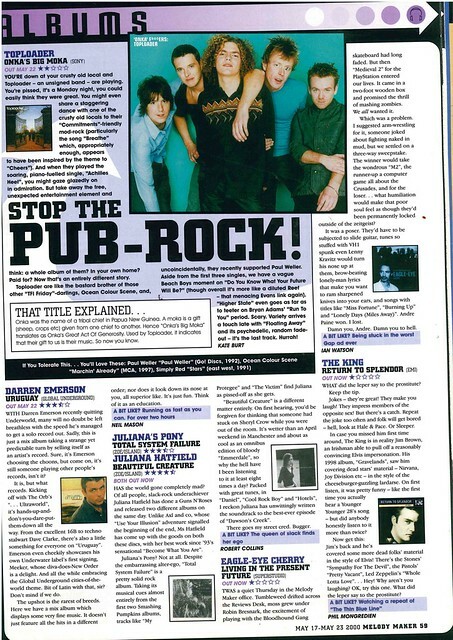 In reviews, Melody Maker went to see Travis in Aberdeen, gave four and a half stars to The Charlatans new album, while Ian Brown, Cerys Matthews and Ash were celebrity Singles Reviewers. 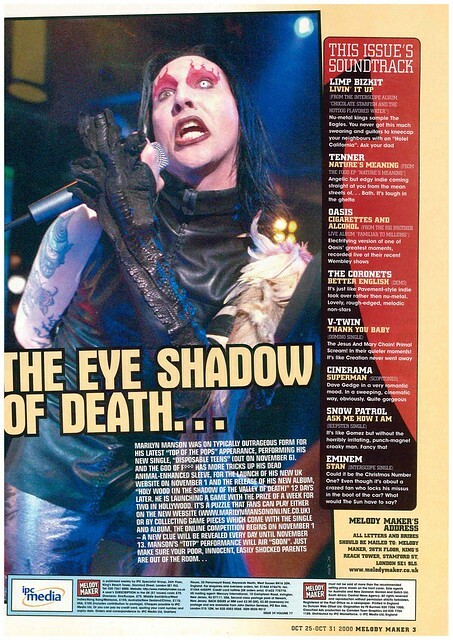 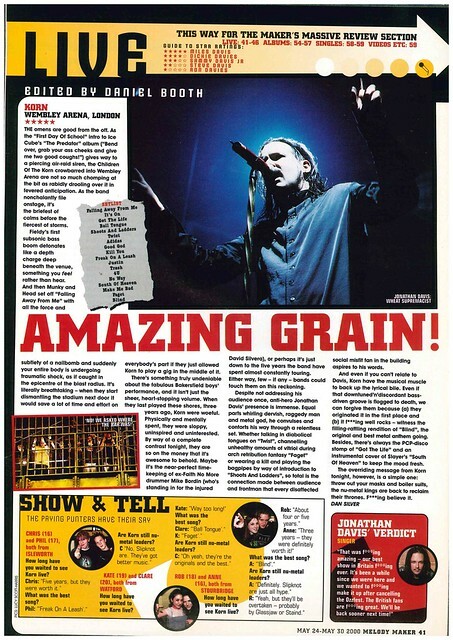 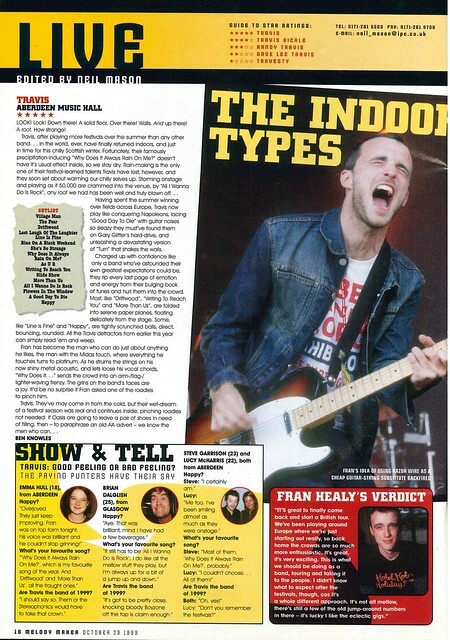 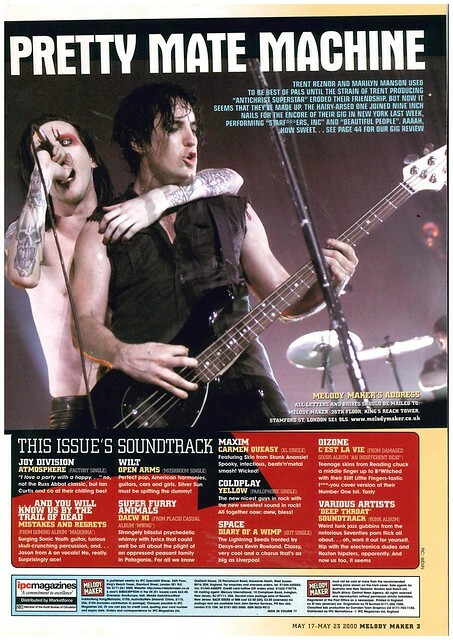 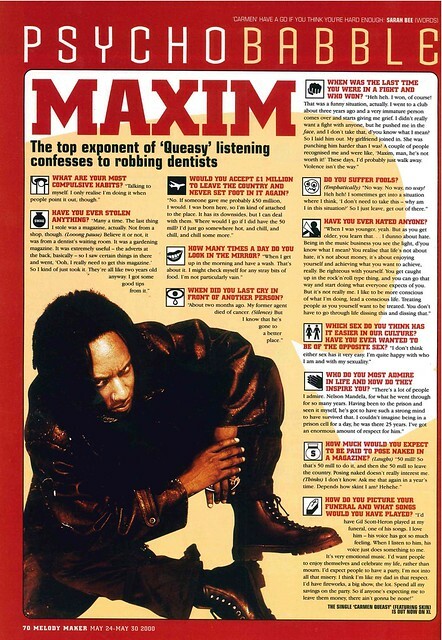 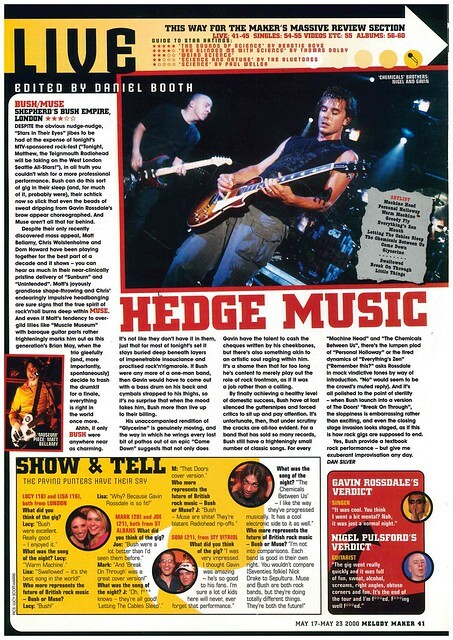 It’s late 2000, and Melody Maker is on tour with Eminem and Limp Bizkit. 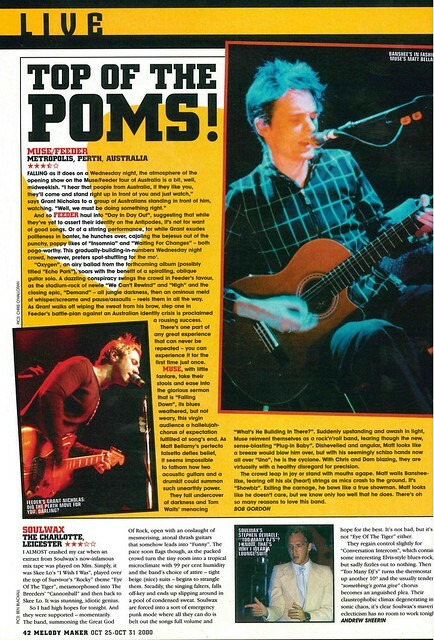 Two Welsh rock stars were in the news this week, with James Dean Bradfield stopping an assault on old man, while Kelly Jones solo tour was given a “cautious welcome” by fans giving their opinions to Melody Maker. 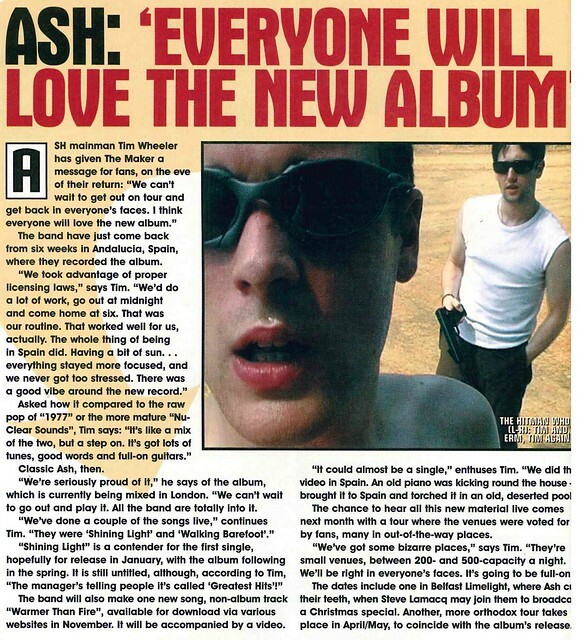 Ash have announced that everyone will love their upcoming new album. 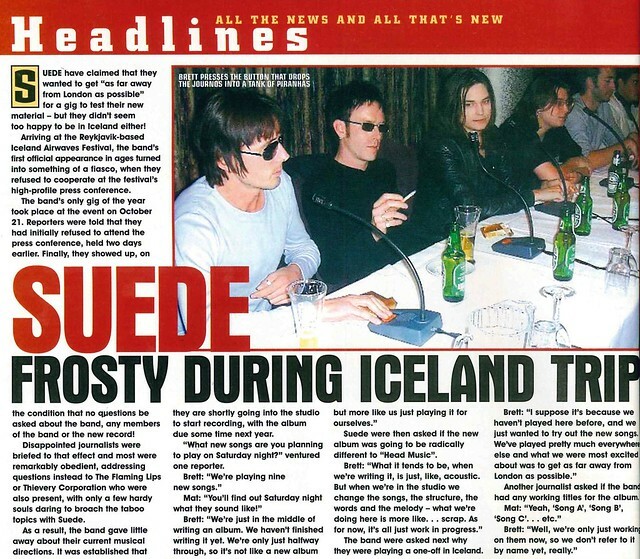 Suede were in Iceland to perform at a festival, a trip described as “farcical”. 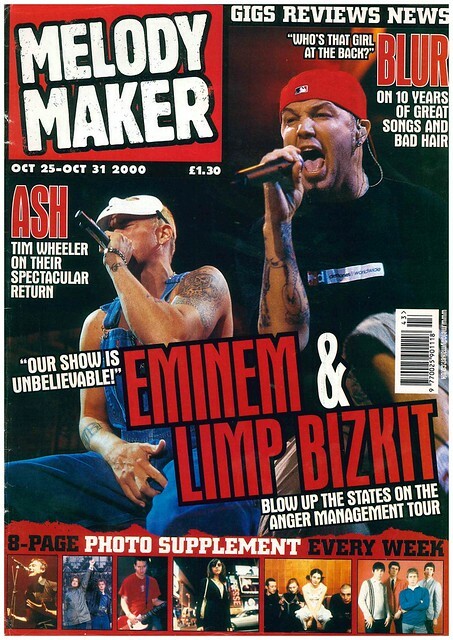 There are four pages dedicated to Eminem and Limp Bizkit, with Melody Maker giving it to Limp Bizkit, slightly, for the best act. 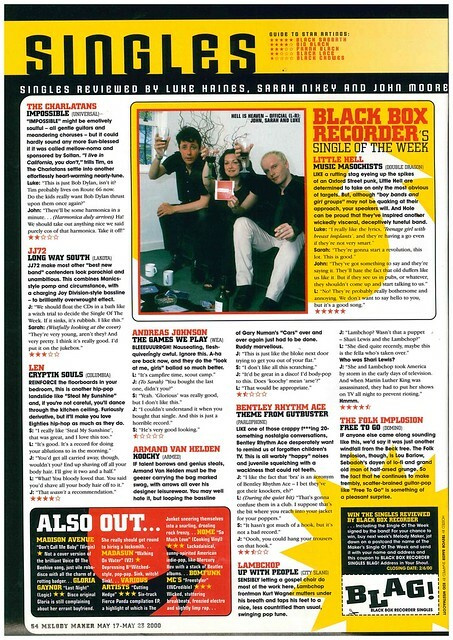 Ten years after their first release, Alex and Graham from Blur look back at the band’s ten finest moments. 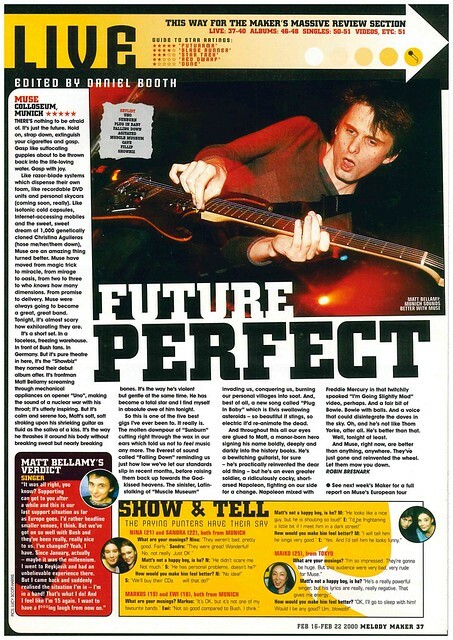 In reviews, Melody Maker visits Muse, The Bluetones, Coldplay and Idlewild in concert. 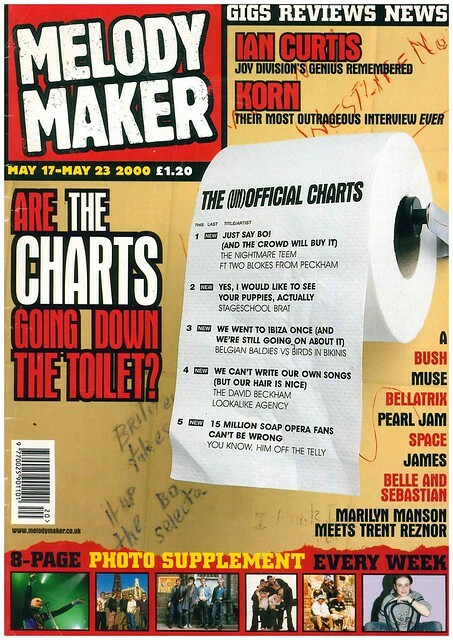 A toilet roll with parody song titles is this week’s cover image, as Melody Maker asks if the charts are going down the toilet. 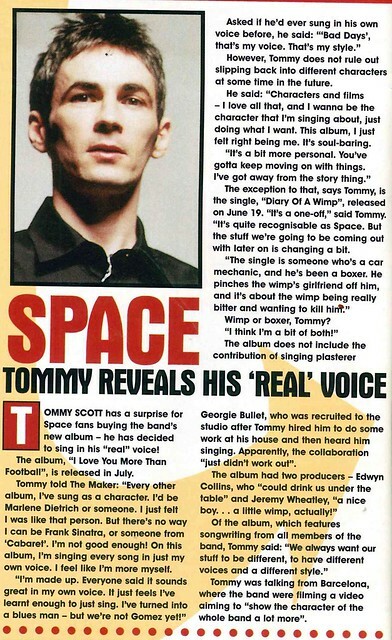 Tommy Scott of Space reveals that he will sing on their new album in “his real voice”, after stating that he sang in character on the band’s previous albums. 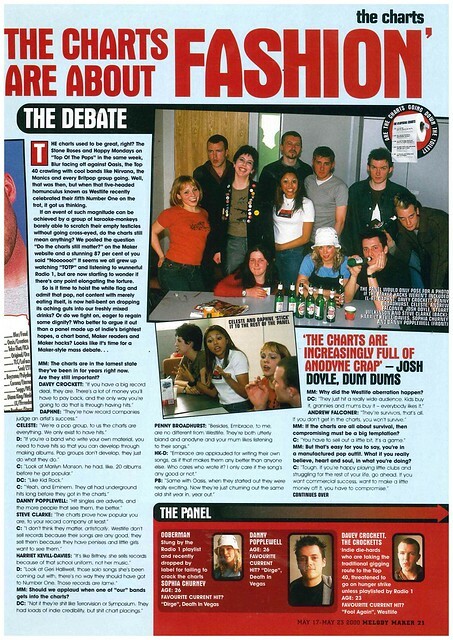 The cover story gets four pages, with a panel of music fans, Melody Maker writers and Daphne and Celeste debating if the charts are crap. 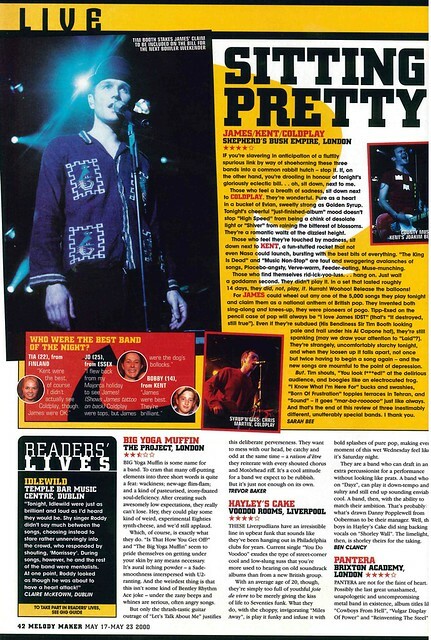 There are two pages dedicated to the life of Ian Curtis from Joy Division, on the 20th anniversary of his death. 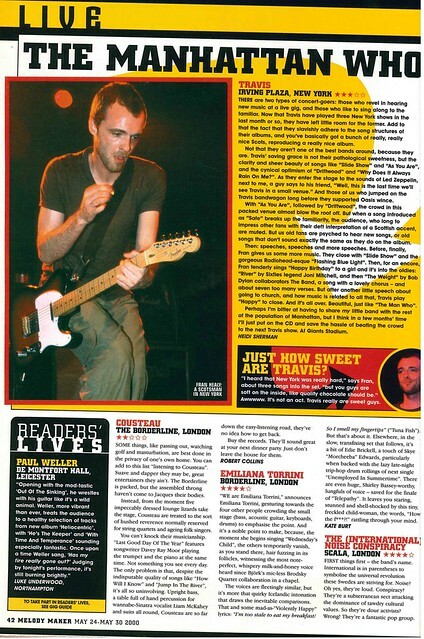 In concerts, Melody Maker paid a visit to see Bush supported by Muse and James supported by Coldplay. 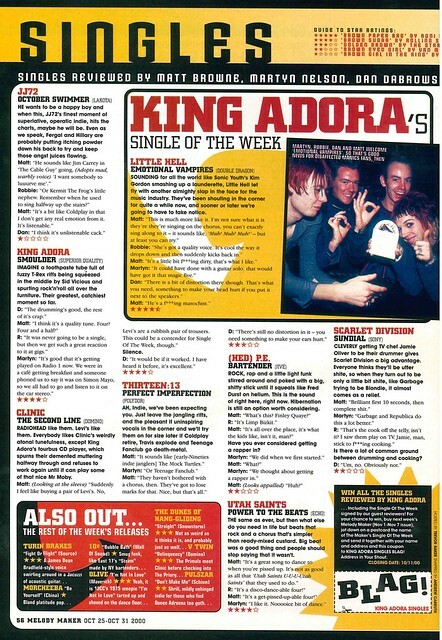 In reviews, Toploader’s debut album gets an unfavorable two stars out of five. 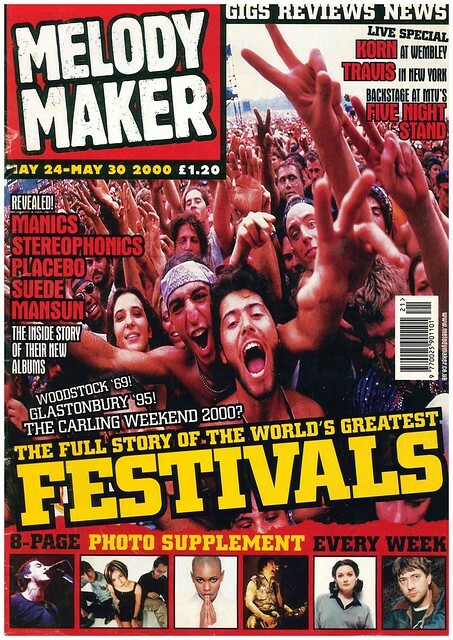 It’s late May and almost the summer, so Melody Maker suitably gets in a festival mood with this edition. 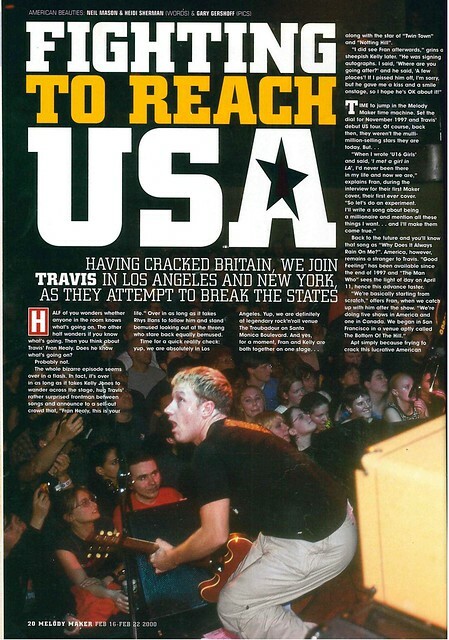 Travis are in a chart battle with Fat Les, who are doing England’s Euro 2000 song, hoping to get Number 1 as revenge for England putting Scotland out of Euro 2000. 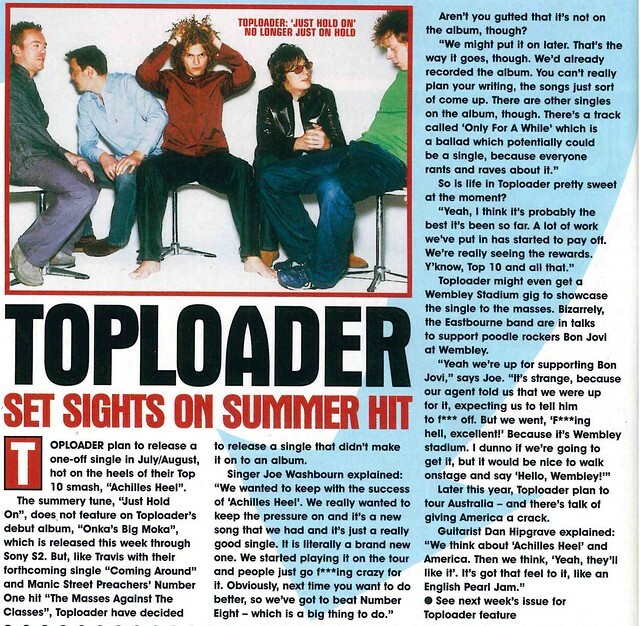 Also hoping for a Number 1 is Toploader, who are going to release a one-off single after the success of Achilles Heel. 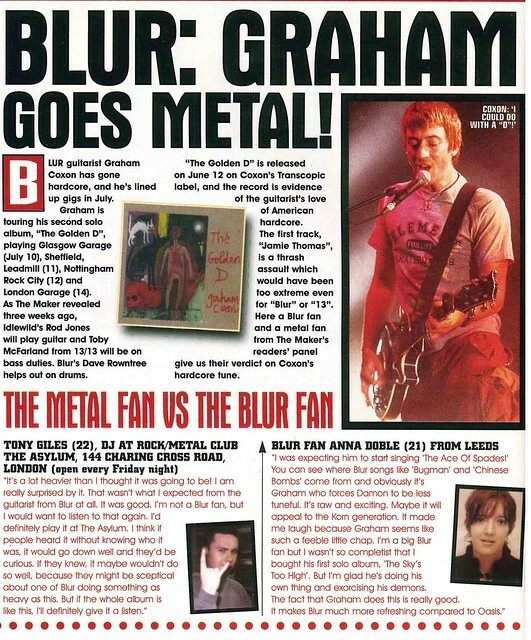 Elsewhere, Graham Coxon of Blur has gone solo, his sound being described as heavier than Blur. 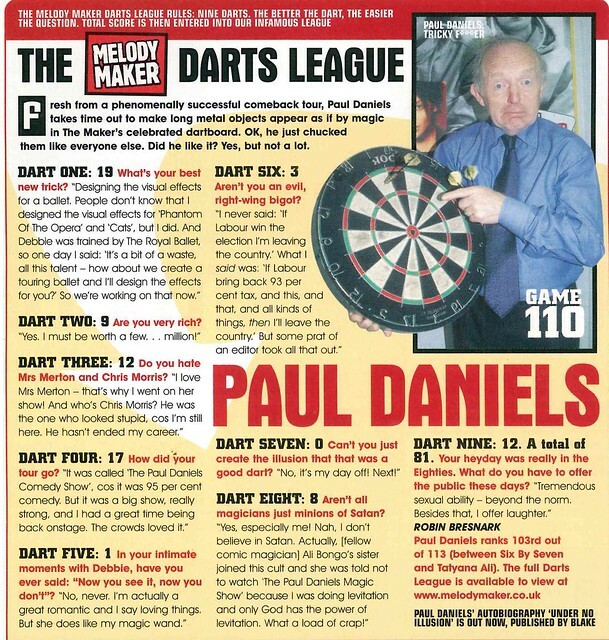 Paul Daniels is subject of a Q and A, denying that he’s a right wing bigot. 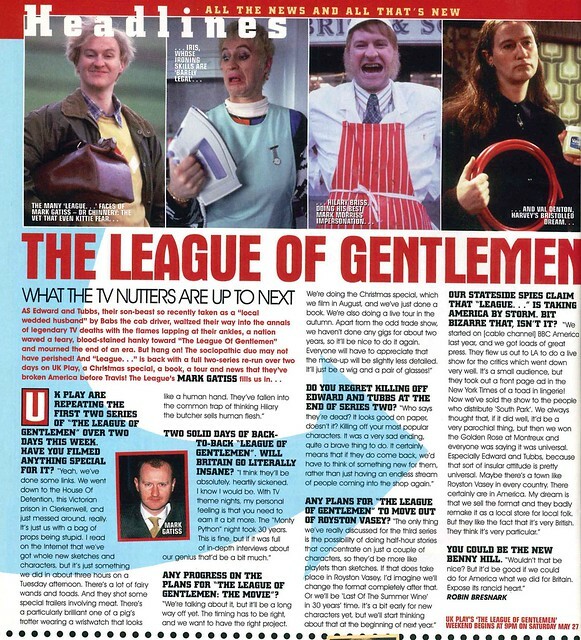 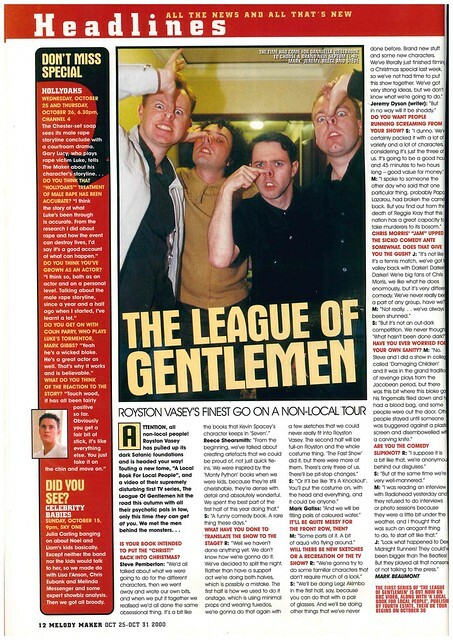 Mark Gatiss of The League Of Gentlemen is interviewed as they prepare for a tour, a book and a Christmas special. 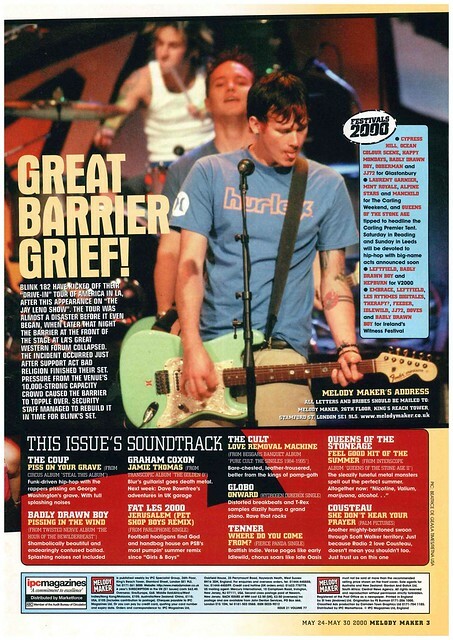 There is a four page feature listing the Top Ten Greatest Festivals of all-time. 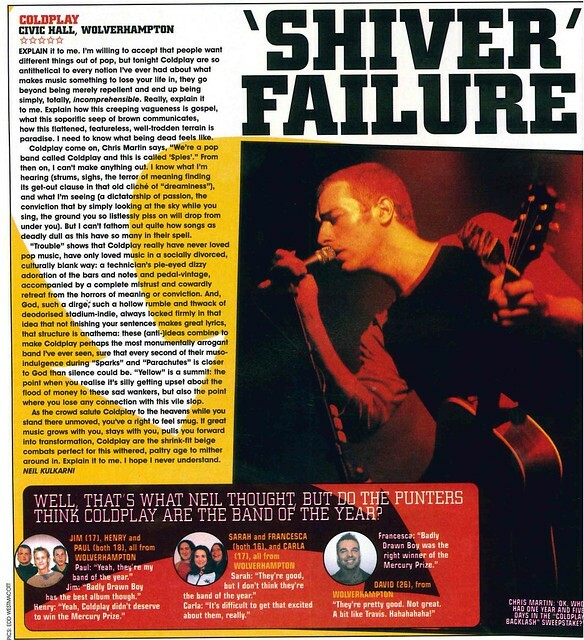 Unsurprisingly, the winner was Woodstock 1969. 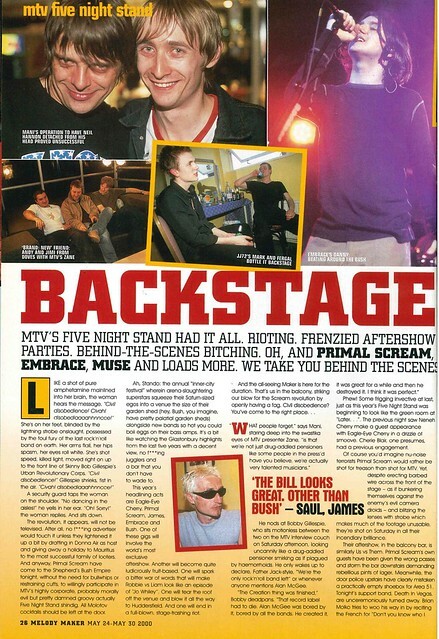 One festival not on the list MTV’s Five Night Stand, headlined by Embrace, Muse and Primal Scream. 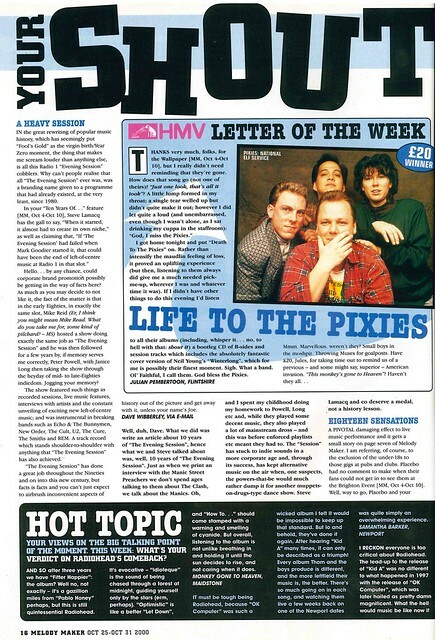 It did get three pages of coverage in this edition of Melody Maker though. 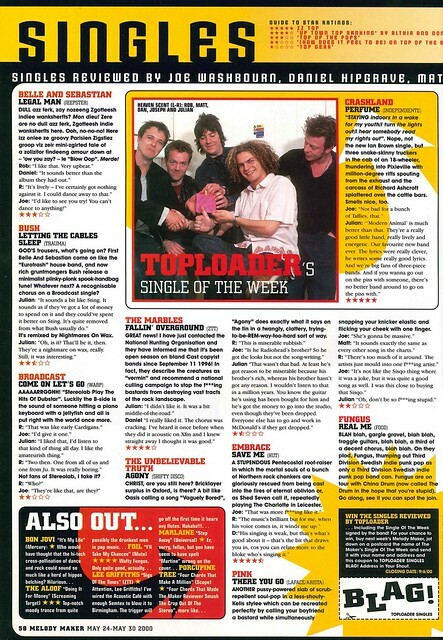 Toploader were reviewing singles, giving their Single Of The Week to Crashland.